It's so much more than just a beauty trend. With the growth of a collective eco-ethical consciousness, "organic" and "vegan" labels on cosmetic packaging are ubiquitous. But there&apos;s a third label that&apos;s not necessarily green and nonetheless becoming evermore pervasive — "halal." According to a recent report by Grand View Research, the global halal cosmetics market was valued at 16.32 billion USD in 2015 and it&apos;s expected to reach 52.02 billion USD by 2025. Why the sudden uptick? The halal market isn&apos;t trying to be the next health craze boasting the latest and greatest; rather, it&apos;s filling a void in the industry for which there was always a demand. Muslims comprise more than 23 percent of the global population, according to a Pew Research Center estimate, and younger generations are emerging as conscious consumers. Their purchasing power has merely amplified the demand for a developing halal market and, as a result, companies are being pushed to diversify their product offerings. They&apos;re therefore now more than ever obliged to comply with halal certification requirements that are increasingly necessary to export to certain countries — so a lot more labels are being disseminated. The term "halal," as it applies to cosmetics, simply means products that have been manufactured, produced and composed of ingredients permissible under Islamic Sharia law. Other ingredients are deemed "haram," meaning their consumption is forbidden. While cosmetics are usually applied topically, the skin is the body&apos;s largest and most absorptive organ — as Gwyneth Paltrow and other advocates of natural beauty products would be the first to remind you — so it&apos;s plausible that users still consume ingredients indirectly. Hence, many religious Muslims seek alternatives to mainstream makeup brands. "The demand has always been there worldwide, especially in Muslim countries," says Safia Ghanim, technical auditor and manager of the ISWA Halal Certification Department at the USA Halal Chamber of Commerce, Inc. "Halal isn&apos;t another trend. For Muslims, Islam is our way of life, which includes consuming and using Halal products." "In brief, halal cosmetics are products that must not have any of the following: human parts or ingredients thereof; any animals that are forbidden for Muslims [to consume] or that are not slaughtered according to Sharia law; anything decreed as najs (defined as filth, including things that are themselves not permissible such as pigs and their derivatives, blood and carrion, fluids or objects discharged from humans&apos; or animals&apos; bodies, such as urine, excrements, blood, vomit and pus); alcohol from alcoholic drinks (khamar); contamination from najs during preparation, processing, manufacturing or storage," Ghanim explains. "All elements must be accounted for, such as the manufacturing procedure and the storage, packaging and logistics." Many consumers confuse vegan products with being halal-certified, too. It&apos;s true that vegan products do not contain any animal byproducts, but they can include alcohol. Likewise, some halal-certified brands use Islamic Sharia law-compliant ingredients that perhaps wouldn’t be considered entirely ethical by brands that promote sustainability, like silicone-based polymers, dimethicone and methicone. Moreover, while many companies "greenwash" with misleading or vague terms that make consumers think they are buying organic, there&apos;s a long, much more multifaceted certification process companies must undergo before they can slap on that halal label. "Certification is the only way for a company to export to certain countries or sell their products as halal — a company cannot claim to be halal certified without a third party certifier like ISWA," Ghanim says. "We audit the production facility as a whole, not just the products. All companies must have government-registered facilities… We currently require testing for porcine DNA and salmonella, and protocols for testing alcohol levels are currently in the works." Tracking down the sources of every ingredient and testing for traces of haram elements can take years and is often accompanied by a fee — especially if brands want to pay for copyrights and trademarks to use certification logos. Brands must also undergo annual audits to renew their certifications. Take, for example, INIKA Organic, the self-described "healthiest makeup brand in the world," which boasts the highest level of certifications. 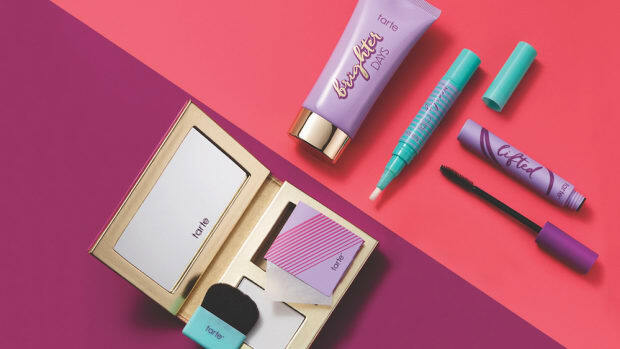 The 10-year-old Australian brand retails in 25 countries and just launched in the United States in April with a wealth of makeup choices. More than 50 percent of its products are certified organic and 100 percent are certified vegan, cruelty-free and halal. But their threefold certification process was no easy feat. INIKA never intended to get its halal certification from the Australian Federation of Islamic Council, but in an effort to be both organic and vegan, it ended up excluding alcohol and animal extracts anyway, and it’s entirely cruelty-free. "We were really trying to be as certified as we could in as many different aspects," says Regis Haberkon, INIKA&apos;s president of sales and marketing. "When you&apos;re completely vegan, it makes it very easy for them to check your ingredients." Like INIKA, many halal brands are less focused on shelving seasonally attractive products, as beauty standards always change; rather, they&apos;re focused on being attractive to a demographic of people whose beliefs never change. "There is a young generation coming to the market every year, so it&apos;s going to be fed a 15 percent average growth for the next five or maybe 10 years," Haberkon says. "And in a world where, in every single belief, people are trying to get more rooted but it’s hard to keep bearings, trying to be more halal is something some want to do. So why not?" In 2009, mother of four Salma Chaudhry was diagnosed with breast cancer and wanted embrace a more thoroughly halal lifestyle, too. 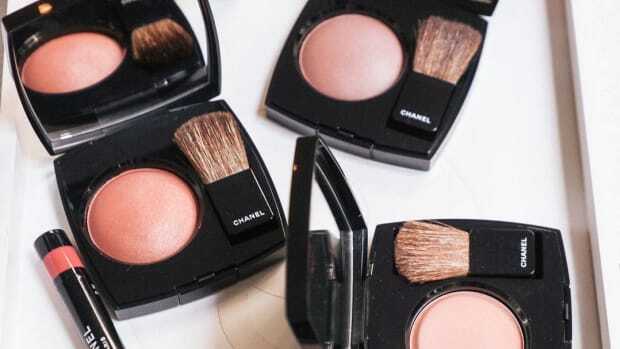 Only upon getting the news about her health did she take a deeper dive into her lifestyle, and she was shocked to unearth the harmful ingredients in her makeup collection. In an ample effort to make a serious lifestyle change, Chaudhry founded The Halal Cosmetics Company. Today, her products are manufactured in the UK and are certified through the Halal Monitoring Committee, which is considered the most highly respected accreditation body in the UK. "Right from the start, our mission was to provide a choice and something suitable for anyone looking for halal cosmetics," she says. "We wanted a brand that is ethical in every sense. Our products are tested on friends and family, as we do not believe in harming defenseless animals for the sake of beauty, and this is also prohibited in Islam. We also omitted parabens and SLS, which have been linked to causing health concerns." Chaudhry&apos;s customers come from all over the world; she&apos;s dispatched orders to Australia, Malaysia and all over Europe, and will be exporting products to several stores in the UK this month. The majority of her regulars are Muslim women, but she also has an increasing number of consumers who simply identify with the brand&apos;s ethical values — or perhaps can relate to her personal backstory regarding their overall well-being. "I don&apos;t think women — myself included — even realized that the cosmetics we were using may contain haram ingredients," she says. "As awareness increases, Muslims want to ensure that the products they use are halal for peace of mind. Trends do come and go, but halal is a lifestyle choice for Muslims." While Asia Pacific has been the dominant region and accounted for nearly three-quarters of the market&apos;s overall revenue in 2015 (due to its considerable Muslim population and improving socioeconomic conditions), companies are gaining more access to the global scene through e-commerce. The online distribution sales channel is expected to grow at 18.2 percent by 2022, according to Allied Market Research&apos;s recent "Halal Cosmetics Market Report." "The challenge is to find the right partners, because each time you open a new market, the retailers challenge you to see if you&apos;re going to stay for long. But a bigger and bigger portion of the business is direct-to-market and, as consumer awareness increases, people will buy online," Haberkon explains. And it&apos;s not an easy undertaking, even for large and established beauty businesses. "Most key players in the industry are going to be late because going halal is an effort," Haberkon says. Online shops like Prettysuci, which launched in March and markets itself as the world&apos;s first online portal for halal cosmetic products, already hosts about 15 halal brands from all over the world, with 200 products. Scores of halal brands are popping up, many of which are sold online. Other notable companies include Clara International, Talent Cosmetic Co. Ltd., MMA Bio Lab, Saaf Skincare and Prolab Cosmetics, Martha Tilaar Group and IBA Halal Care. Even major brands like Shiseido and Estée Lauder have followed suit, acquiring halal certifications for certain products sold abroad. All in all, the halal cosmetics industry is solidifying itself as far more than some sort of gimmicky or fleeting trend, though it still remains far more prevalent outside the U.S. than within it. 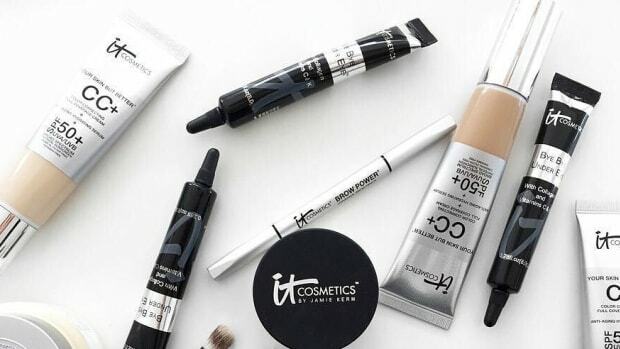 But as we&apos;ve seen in categories like natural beauty and K-beauty, increasing awareness can spur demand for products dramatically and rapidly. So for beauty companies with an eye toward the future, ramping up halal offerings may be a smart move to consider. 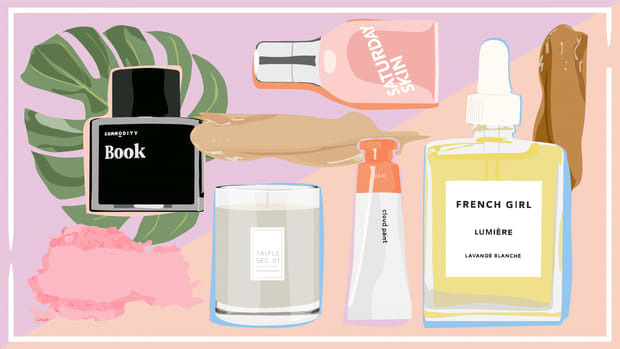 Are Fashion Brands Pivoting to Focus on Cosmetics Over Fragrance? Social media, among other factors, is driving a transformation in how designer labels approach the beauty category. It's not just for the fashion realm anymore. These are the ideas, tech and trends that are shaking up the cosmetics business now. The brand just launched there.